Posted by Bryna Bear aka Gluten Free Baking Bear. This recipe is easy to make with scrumptious results. A seasonal variation of the traditional seven layer bar this version preserves all the coconut & chocolaty gooey goodness of the original bar and adds a yummy and creamy pumpkin spice layer. You can change up what you put in the layers and how much of each ingredient you use to suit your personal taste. Cool the bars completely before cutting to get neater squares. If you cut the bars while hot they will ooze. These must be stored in the fridge due to the dairy content of the pumpkin and condensed milk layers. 1 ½ cups - 6 oz. 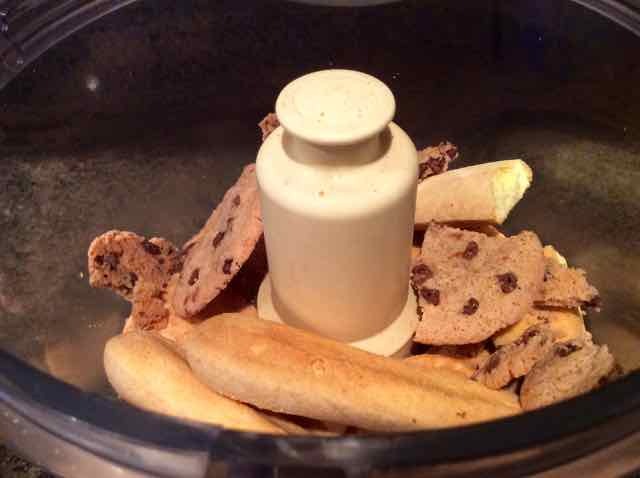 GF Cookie Crumbs - I used a mix of what I had on hand: chocolate chip, vanilla animal crackers and lady fingers. Any cookies will work. Grahams are most popular, but I think that gingerbread would also work well with the pumpkin. My cranberries were very large so I chopped them up. Chopped cranberries soaking in hot water for 15 minutes. 1) Preheat the oven to 350℉. 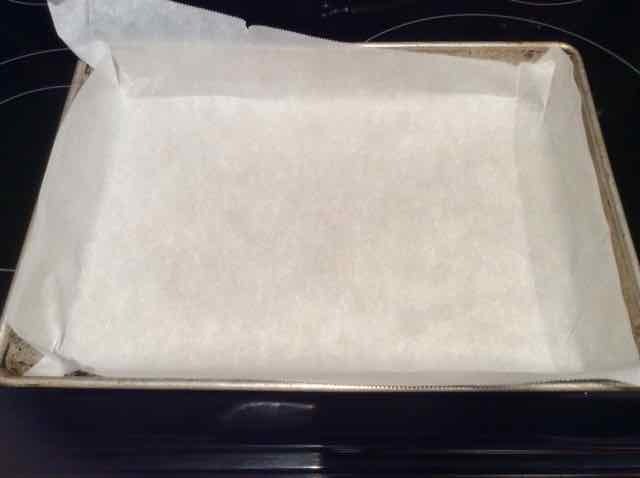 Prepare a 9 x 13 baking pan by lining it with parchment paper. 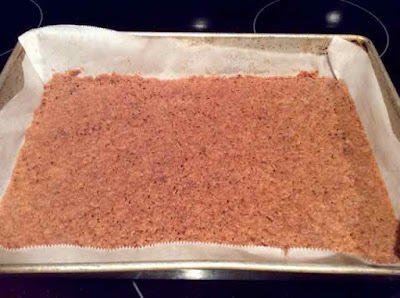 The parchment paper keeps the bars from sticking and makes it easy to get them out of the pan without breaking them. 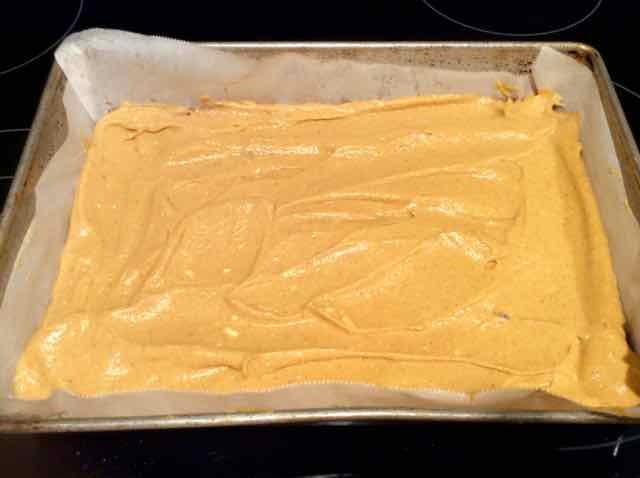 9 x 13 pan lined with parchment paper. 2) Make cookie crumbs by grinding them in a food processor or place the cookies in a large plastic food storage bag and crush them into fine crumbs with a rolling pin. ready to be made into crumbs in the food processor. 3) Melt the butter and add the cookie crumbs to the melted butter. 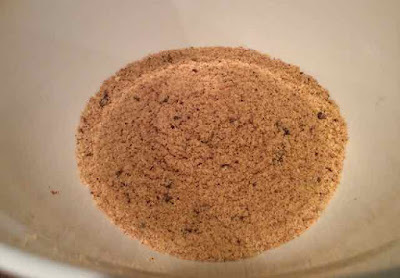 Butter and crumbs mixed together in pan. 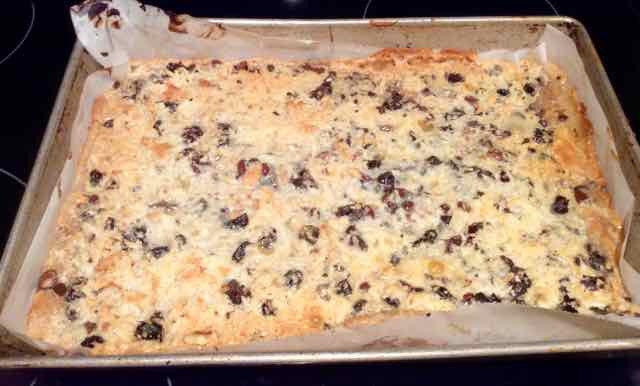 4) Mix the crumbs and butter well and spread them evenly over the bottom of the pan. 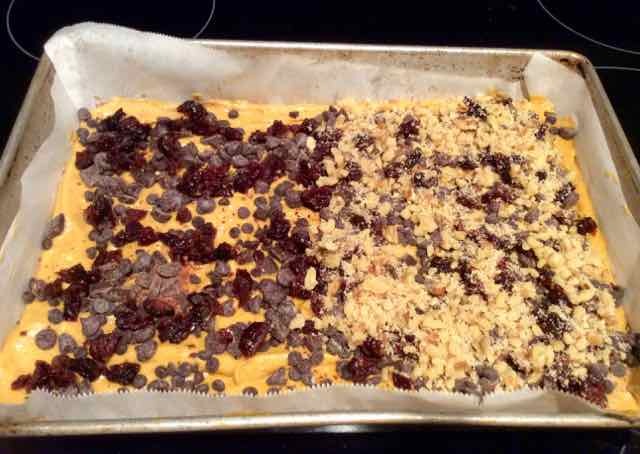 Unbaked cookie crumbs mixture spread evenly in the pan. 5) Bake the cookie layer for 12 minutes and then remove from the oven. 6) In a bowl, add the pumpkin and soft cream cheese and mix until well blended. 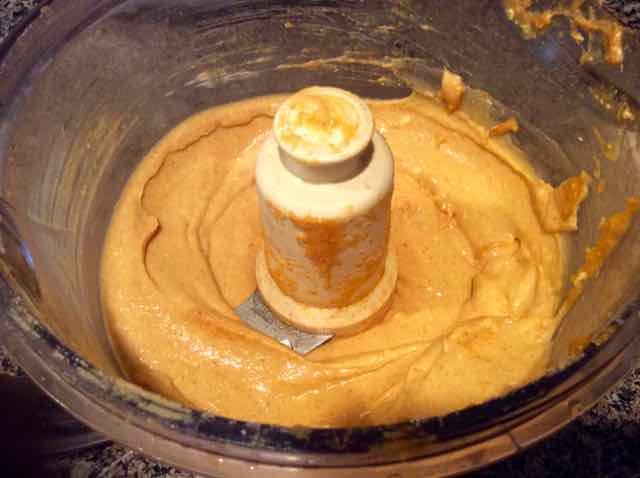 Pumpkin, cream cheese, sugar & spices in the food processor. Pumpkin mixture after mixed together. Pumpkin mixture spread over the cookie layer. 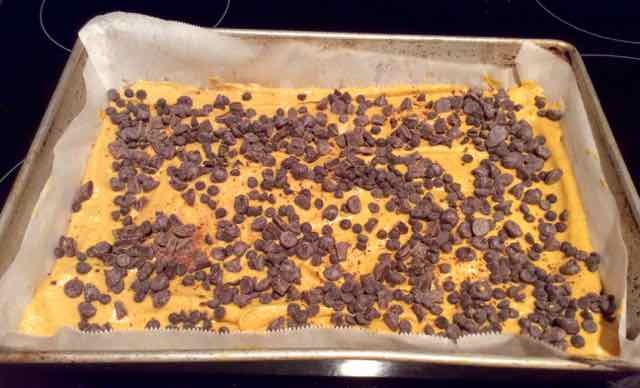 8) Sprinkle the chocolate chips evenly over the pumpkin layer. 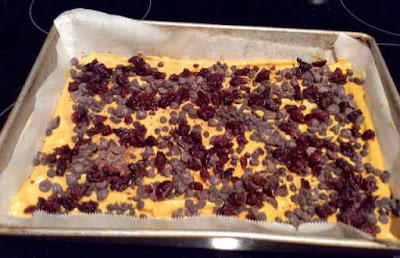 Chocolate chips sprinkled over the pumpkin layer. 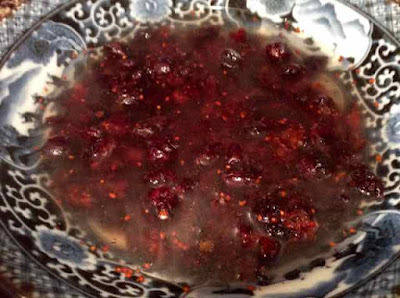 9) Sprinkle the cranberries or raisins evenly over the chip layer. 10)Sprinkle the nuts evenly over the cranberry or raisin layer. someone who was having them is not fond of nuts. 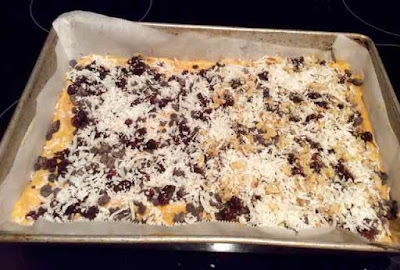 11)Spread the coconut evenly over the nut layer. Coconut sprinkled over the nut layer. 12)Drizzle the can of condensed milk evenly over the coconut layer. Condensed milk poured evenly over the coconut layer. 13)Bake for 40-45 minutes or until the top is golden brown. 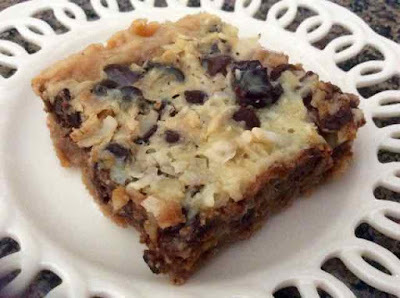 Pumpkin Seven Layer Bars baked until golden brown. 14)Cool completely before cutting into squares so that they keep their shape. Store in the fridge as the pumpkin and condensed milk layers contain dairy and can spoil. 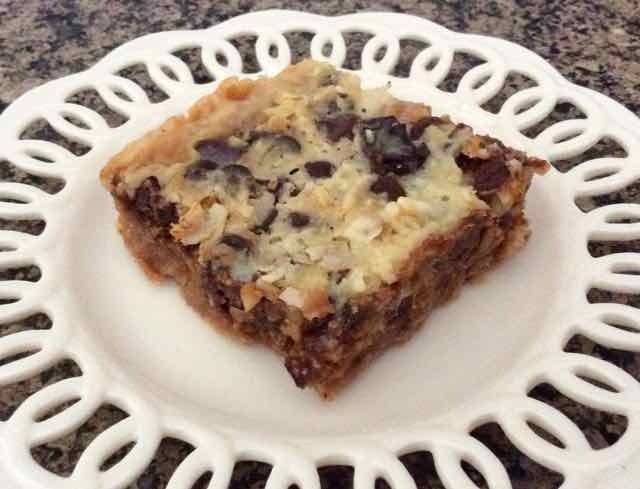 GLUTEN FREE PUMPKIN SEVEN LAYER BARS GlutenFreeBakingBear.com 1 ½ cups - 6 oz. GF Cookie Crumbs - I used a mix of what I had on hand: chocolate chip, vanilla animal crackers and lady fin-gers. Any cookies will work. Grahams are most popular, but I think that gingerbread would also work well with the pumpkin. ½ cup/1 stick/4 oz. Unsalted Butter - melted 1 can/15 oz. Canned Pumpkin 4 oz. Cream Cheese - at room temperature ¼ cup	Sugar - I used evaporated cane juice 1 tsp	Cinnamon ½ tsp	Ground Ginger ⅛ tsp	Ground Cloves 1 cup	Chocolate Chips ½ cup (or use 1 cup if you love coconut)	Coconut - shredded (I used unsweetened) ½ cup (or use 1 cup if you love nuts)	Walnuts or Pecans - chopped ½ cup	Raisins or Dried Cranberries - chopped OP-TIONAL - or use more chocolate chips or white chocolate chips instead (for moist and soft raisins or cranberries soak them in hot boiled water for 15 minutes and then drain well before using) 1 can/15 oz. Condensed Milk INGREDIENTS DIRECTIONS 1)	Preheat the oven to 350℉. Prepare a 9 x 13 baking pan by lining it with parchment paper. 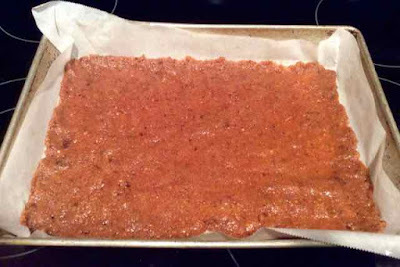 The parchment paper keeps the bars from sticking and makes it easy to get them out of the pan without breaking them. 2)	Make cookie crumbs by grinding them in a food processor or place the cookies in a large plastic food storage bag and crush them into fine crumbs with a rolling pin. 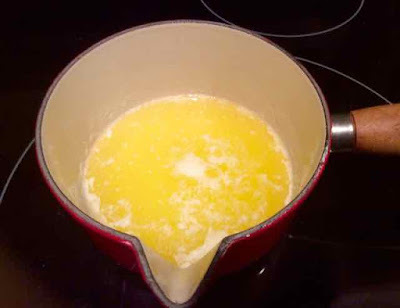 3)	Melt the butter and add the cookie crumbs to the melted butter. 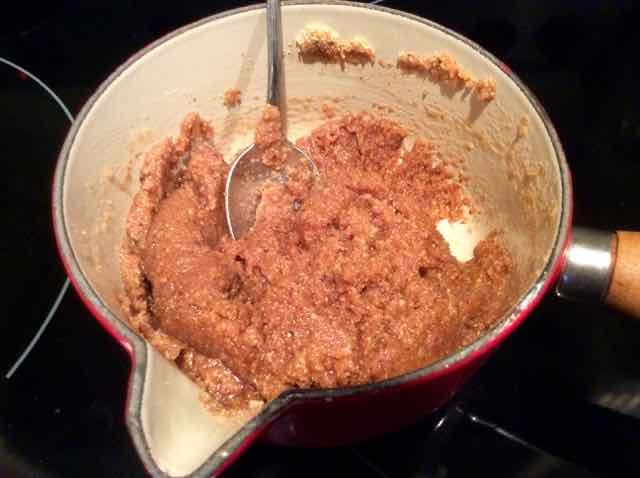 4)	Mix the crumbs and butter well and spread them evenly over the bottom of the pan. 5)	Bake the cookie layer for 12 minutes and then remove from the oven. 6)	In a bowl, add the pumpkin and soft cream cheese and mix until well blended. 7)	Add the sugar and spices and mix well. Spread the pumpkin mixture evenly over the cooled cookie layer. 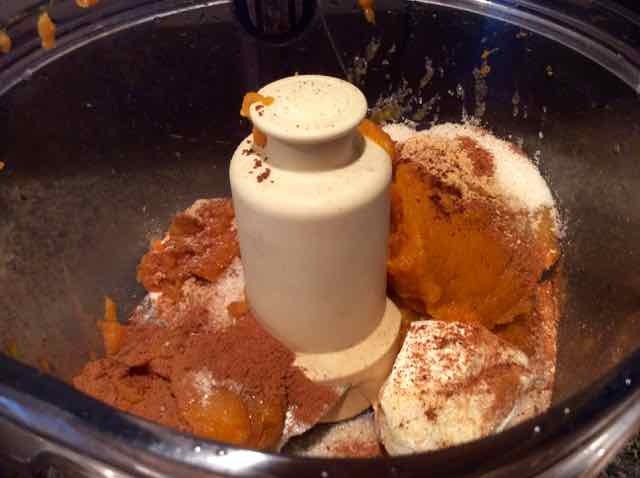 (I added the pumpkin, cream cheese, sugar & spices to the food processor and blended them all together. A stand mixer could also be used.) 8)	Sprinkle the chocolate chips evenly over the pumpkin layer. 9)	Sprinkle the nuts evenly over the chip layer. 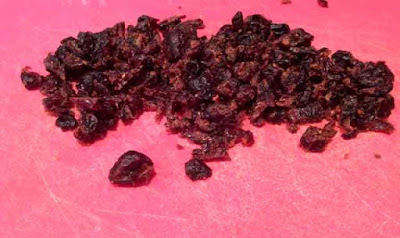 10)	Sprinkle the raisins or cranberries evenly over the nut layer. 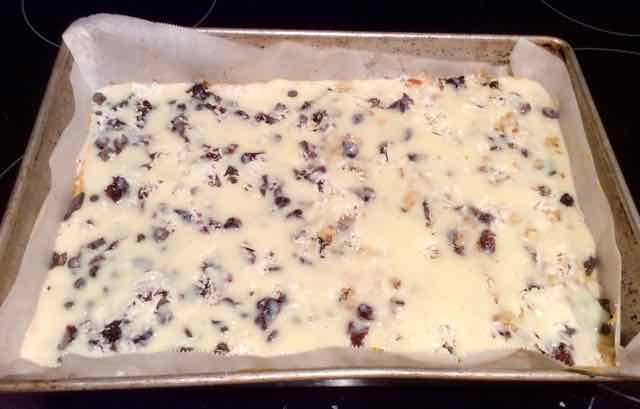 11)	Spread the coconut evenly over the raisin or cranberry layer. 12)	Drizzle the can of condensed milk evenly over the coconut layer. 13)	Bake for 40-45 minutes or until the top is golden brown. 14)	Cool completely before cutting into squares so that they keep their shape. Store in the fridge as the pumpkin and condensed milk layers contain dairy and can spoil.